With this menu, Thanksgiving Day can be as easy as Sunday morning. Every recipe is delicious, smart and make-ahead. The crisp escarole salad, zippy green beans and roasted squash can be served chilled or at room temperature while the mashed potatoes, roasted carrots, savory stuffing and carved turkey can all be reheated in the same 375° oven in fewer than thirty minutes. 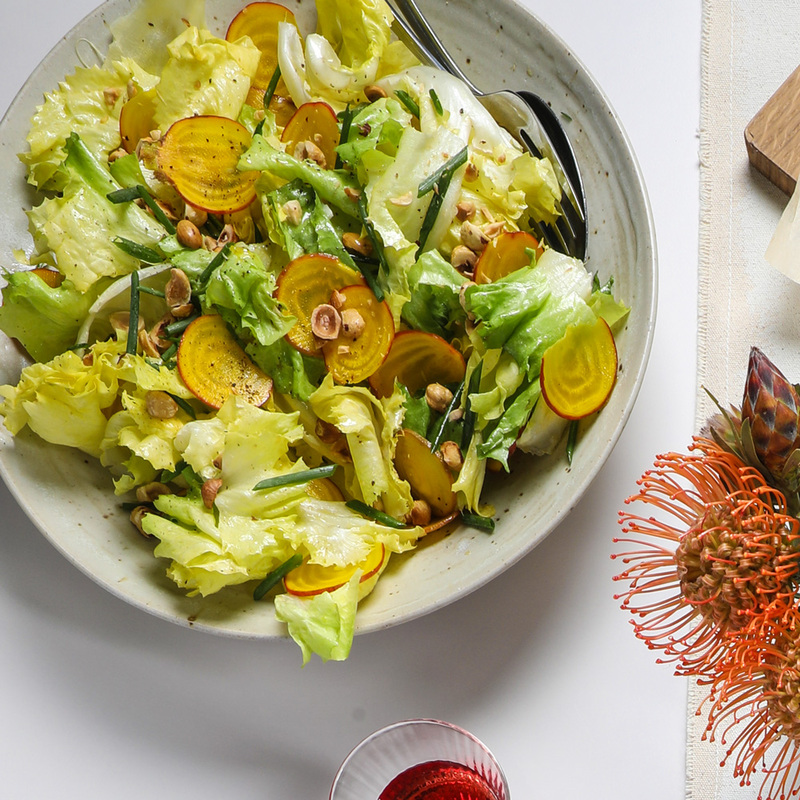 This super fresh, crunchy salad stars escarole and very thinly sliced golden beets, which have a sweet, earthy flavor. The trick to making this salad ahead is building it directly in a serving bowl. The day before Thanksgiving, start by mixing the dressing in the bottom of the bowl and then layer the remaining ingredients on top, beginning with the heaviest and ending with the most delicate. Just toss the salad and season with salt and pepper before serving. 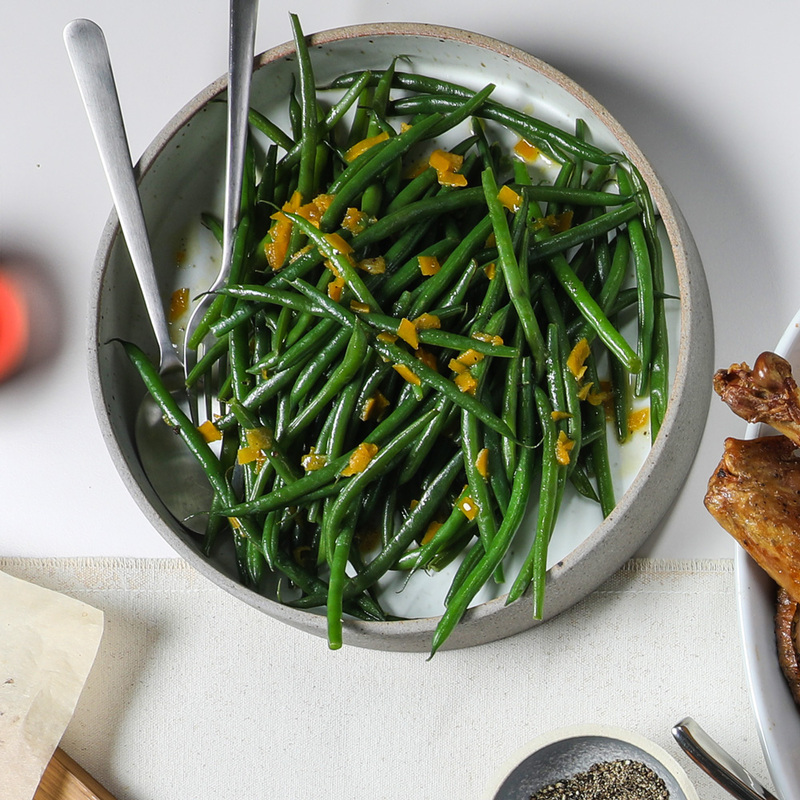 Believe it or not, green beans can actually be cooked in advance and still be crisp-tender when you serve them. The secret is the classic but brilliant technique of blanching them in boiling water until bright green and then immediately shocking them in ice water, which stops the cooking and ultimately preserves the color and texture. 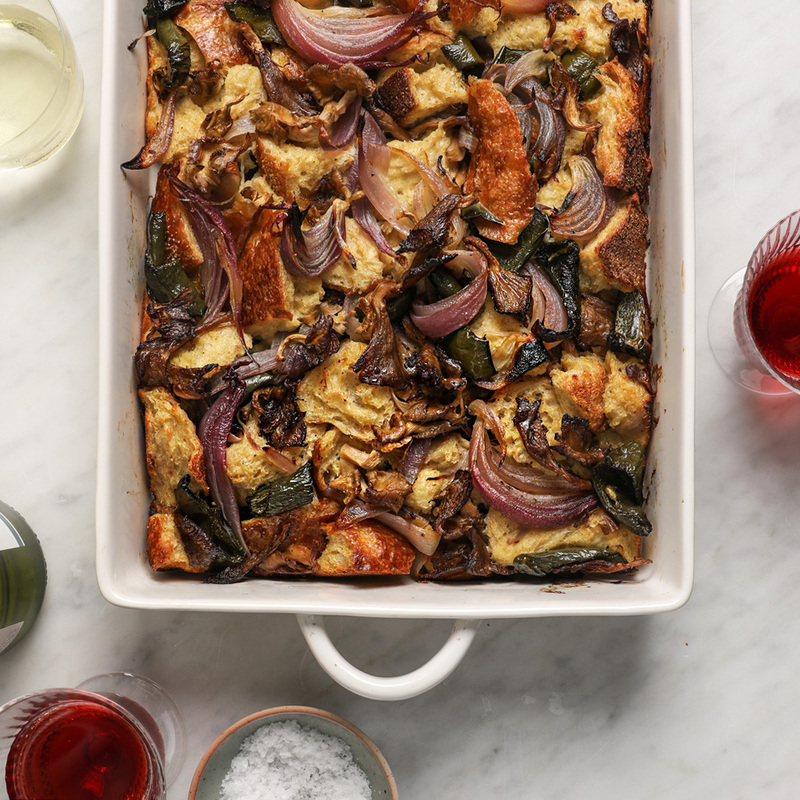 This recipe is the perfect make-ahead Thanksgiving side because it can be served either chilled or at room temperature. This simple, healthy side dish is ideal for Thanksgiving because it is at its best when served at room temperature. The delicata squash can be roasted the day before and then brought to room temperature before serving. 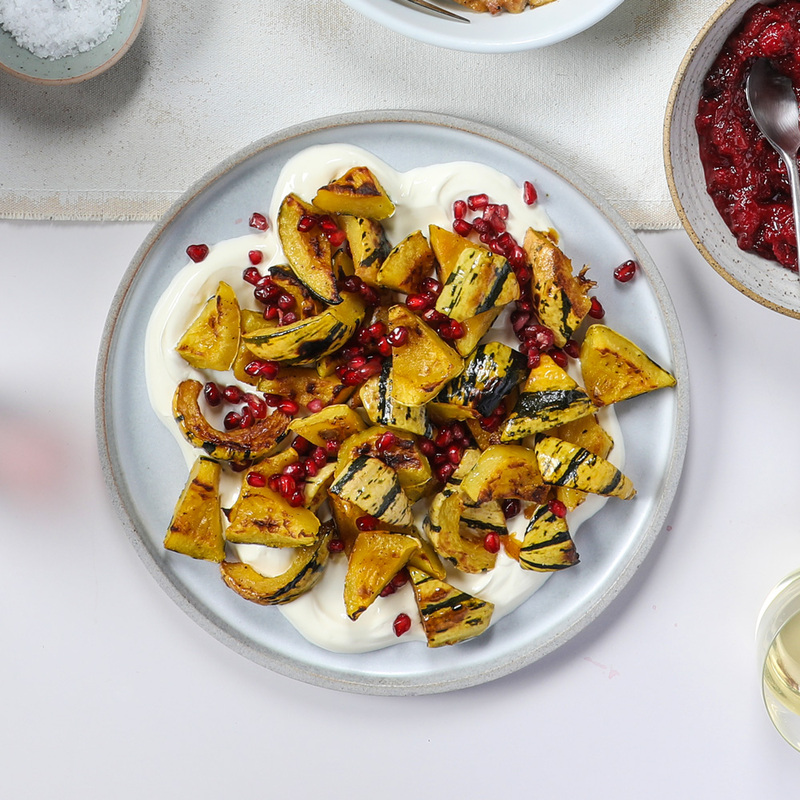 For a special presentation, pile the squash on a mound of creamy lebneh (Lebanese strained yogurt) and shower it with crunchy, tangy pomegranate seeds. 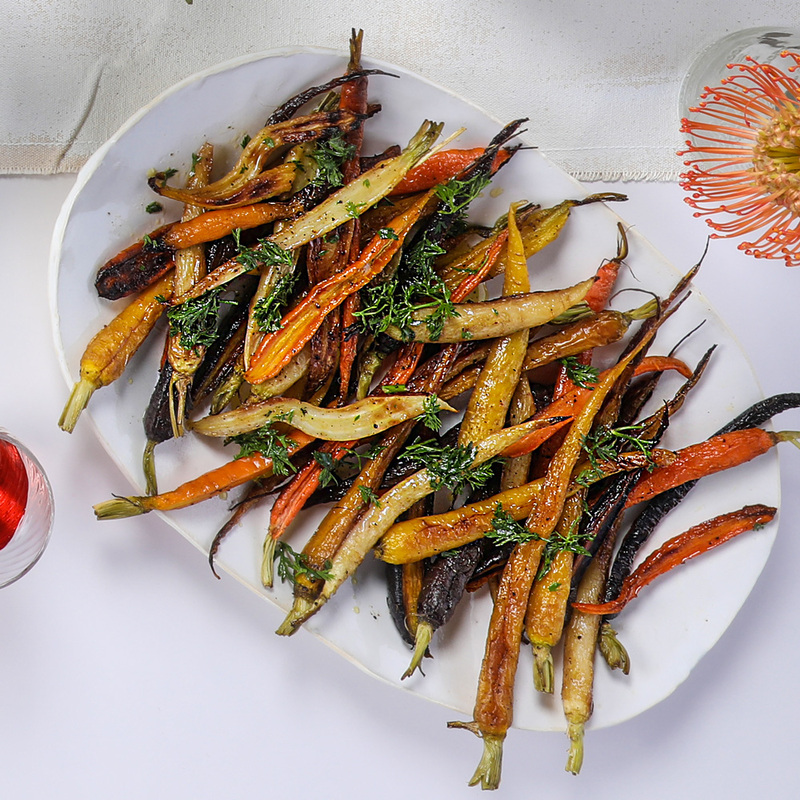 These carrots require fewer than five ingredients and pair nicely with just about anything. Best of all, they can be cooked the day before and refrigerated overnight. After roasting, let them cool and then pile them on an oven-safe serving platter, that way they can be quickly reheated in the oven and go straight to the table. 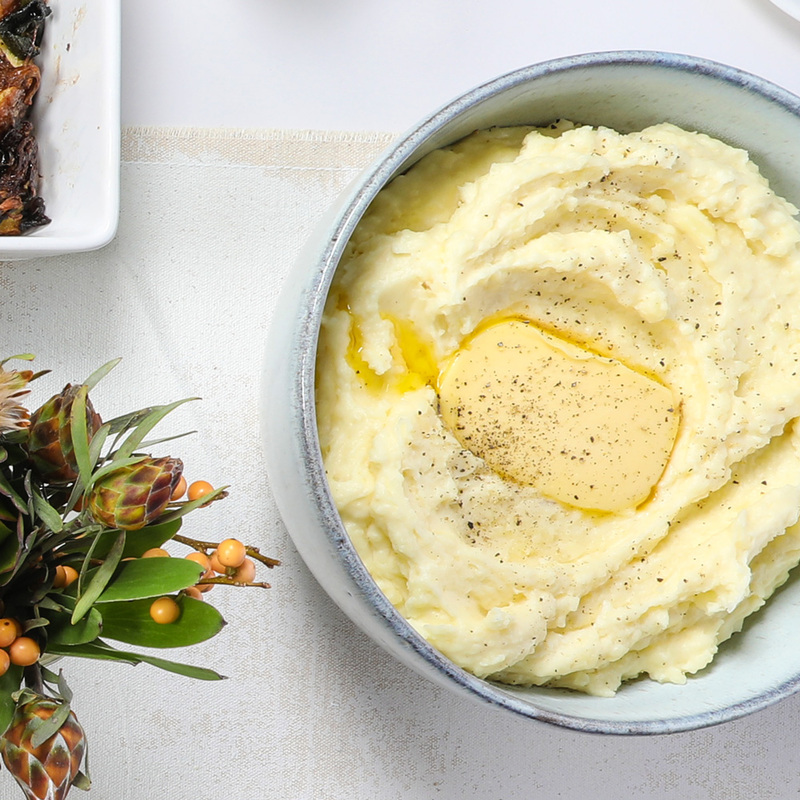 Most recipes for classic mashed potatoes incorporate a generous helping of butter, which adds great flavor but results in potatoes that will firm up (too much!) in the fridge. Stiff, firm potatoes are a chore to reheat. This perfect make-ahead version is ultra velvety and never fully solidifies when chilled, which makes reheating the potatoes in the oven or microwave a breeze. The secret weapon: mayonnaise. The trick to make-ahead Thanksgiving stuffing is to add a little additional chicken or vegetable stock before reheating to keep it from drying out. Just bring the chilled stuffing to room temperature and drizzle it with 1/2 cup of stock, then cover it with foil and reheat it in a 375° oven for about 20 minutes. Getting the turkey on the table at the right time can easily be the most stressful part of Thanksgiving. The solution is to make it the day before. It’s actually quite simple: After roasting, let your turkey rest for at least 30 minutes before carving the entire bird. 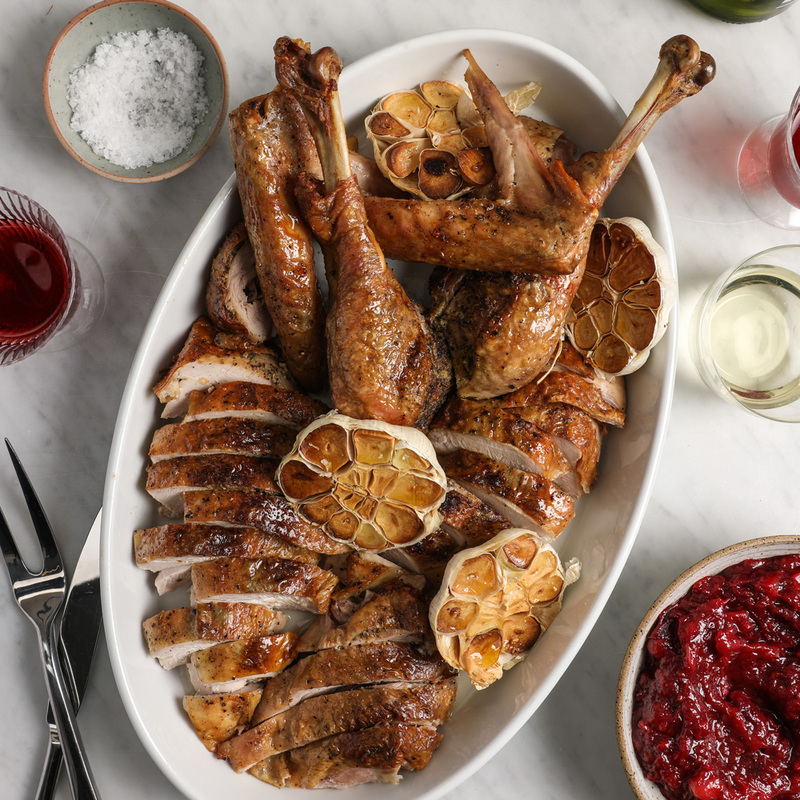 Arrange the carved turkey on an ovenproof serving platter or in a large baking dish. Drizzle the turkey with 1 cup of turkey or chicken stock as well as any juices from the pan. Cover tightly with foil and refrigerate overnight. Bring to room temperature, then reheat for 20 to 30 minutes in a 375° oven, until hot; remove the foil the last 5 minutes. 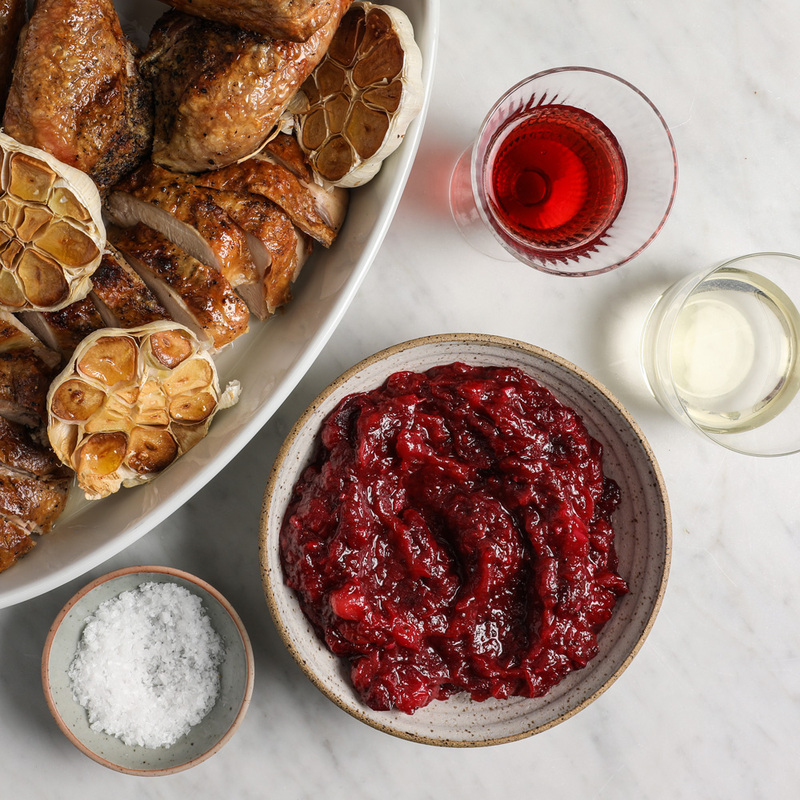 This simple cranberry sauce is sweet-tart and completely addictive, thanks to the tangy rice vinegar and brown sugar. 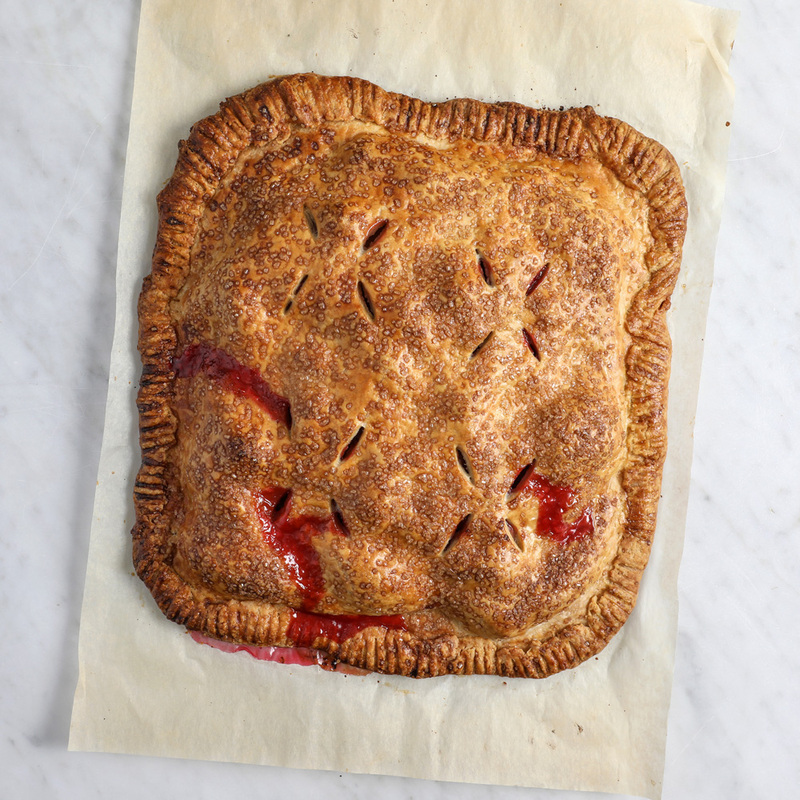 Most pies can be made ahead but many of them require refrigerating. This free-form, fruit-filled, ginger-laced pie is made on a baking sheet and can be stored at room temperature for up to two days.